Taking a cruise is a great way to travel the world, relax, and be entertained all while sailing the seas. However, sometimes it’s hard to know what cruise line is going to be right for your family. This is why I always suggest taking a Disney cruise. 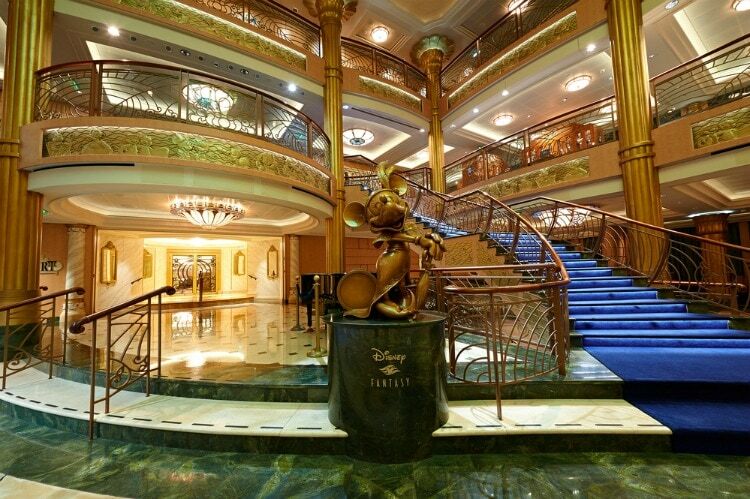 The magic & over the top experience of a Disney cruise is worth every penny. While Disney cruises are geared more toward families, it can be fun for absolutely anyone. Disney Cruises depart from a handful of different ports, including two on the West Coast: Vancouver Canada, and San Diego California. You can cruise to someplace tropical, or enjoy a beautiful Alaskan cruise. It does not matter where your destination is, you will still experience the magic of Disney aboard a Disney cruise. 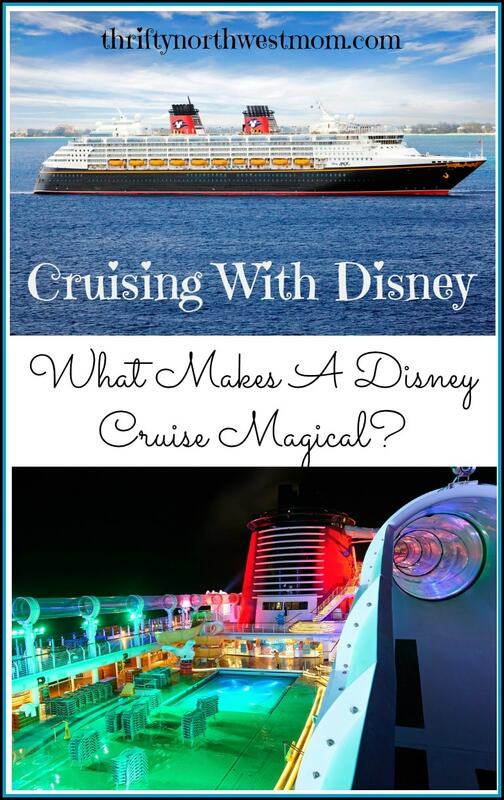 Get Away Today books many Disney cruises, and have partnered with us to provide five wonderful reasons on what makes a Disney cruise magical! They are also a great spot to check out if you are looking for Disney Cruise deals! They will have some of the best offers available, as well as offer great customer service. If you are looking for tips on finding the best savings and planning tips for Disneyland, visit our Disneyland Deals page here. 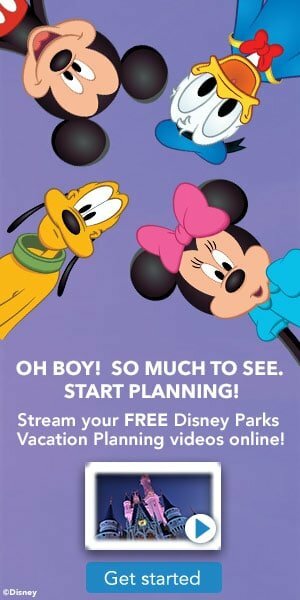 If your looking for how to save on Walt Disney World tickets, visit our Disney World Discounts page here. Have you taken a Disney cruise yet? If so would you recommend it, and what are your best tips for enjoying a great cruise? 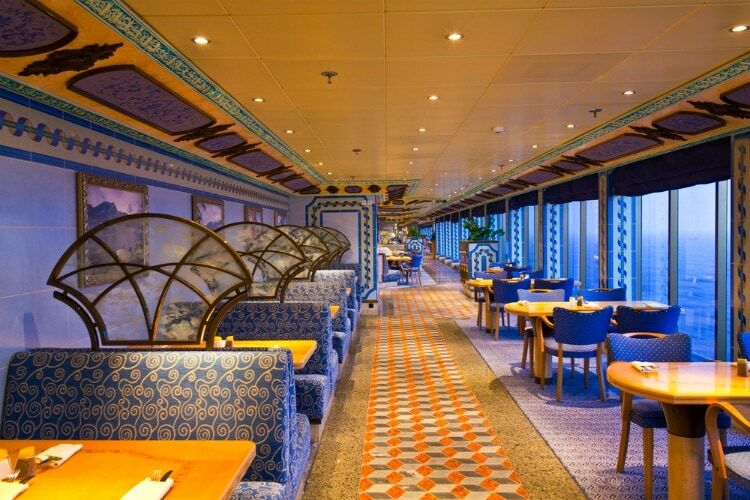 Who does not love the dining experience on a cruise ship? Especially because the food is included when you book a cruise, so you do not have to pull your wallet out again, every time you want to feed the family. One of the best experiences of any vacation is being able to indulge in delicious food, and a Disney cruise is no exception. With a variety of restaurants to choose from, you’ll want to make sure you make room for it all. One of my favorite parts about the dining experience on a Disney cruise is that they have rotational dining. This means that the wait staff you receive on your first night, will actually follow you through every dining experience throughout your cruise. If you have specific food allergies, like your steak cooked a certain way, or you hate broccoli, your wait staff will remember it. This worked out great for my family, as my kids love ketchup with everything, and we never had to ask for it. They came prepared with bottles in their aprons when they showed up at our table. We had so much fun getting to know them better this way too. In addition to the magic of your servers, they provide a variety of dining experiences. You can go from eating unlimited pizza and ice cream at the pool to indulging in a French-American cuisine 4-course meal. Some of my favorite restaurants include Palo, Remy, Flo’s Café, Pinocchio’s Pizzeria and Frozone Treats. If you’re looking to experience another theme night on a Disney cruise, you certainly can. Disney has a variety of select cruises that offer exclusive themed-nights like Star Wars Day at Sea, Marvel Day at Sea, Halloween on the High Seas, Very Merrytime Cruises and Thanksgiving at Sea. Every cruise line offers entertainment; however, Disney does entertainment best. From Broadway caliber productions to character experiences, you’ll be able to delight in even more magic than ever before. Because each ship has different entertainment options, you’ll want to see what is available before you book your cruise. 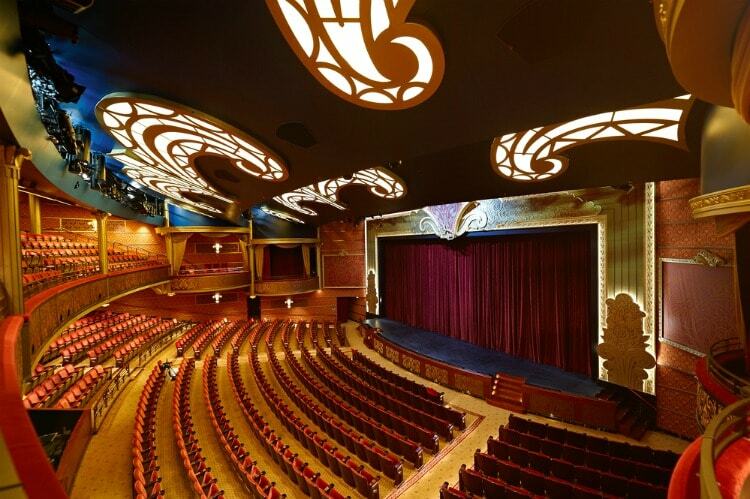 If you’re a Beauty and the Beast fan, you won’t want to miss the Beauty and the Beast production on the Disney Dream. However if Aladdin is your thing, then you’ll want to be sure to catch Disney’s Aladdin – A Musical Spectacular on the Disney Fantasy. My biggest tip would be to talk to a cruise expert at Get Away Today to see what kind of entertainment is available. This way, you can get the best experience possible on your Disney cruise, and make sure its the right fit for your family’s tastes. Just like when you’re at one of the Disney parks, you are treated like a VIP on a Disney cruise. Not only do you receive the same wait staff throughout all of your dining experiences, but everyone from the room steward to the maintenance workers will go out of their way to greet you with a warm smile and a friendly hello. It truly feels like you are a part of a greater community when you’re on a Disney cruise, which is what I love most about it. 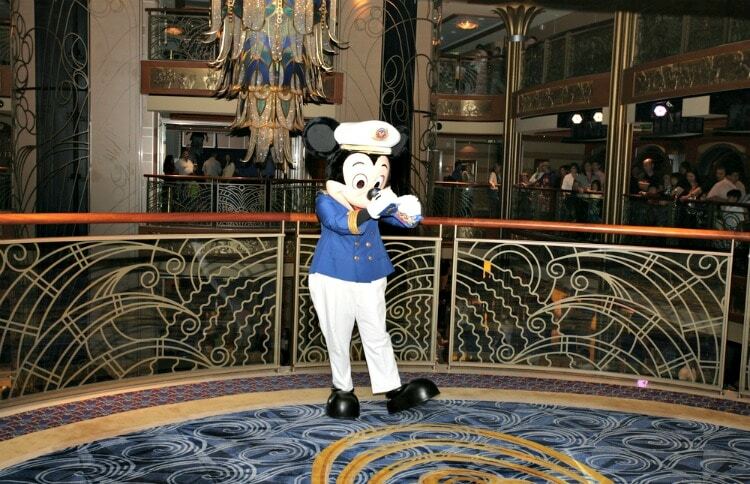 Even though you’re sailing the seas, you’ll still be able to meet some of your favorite characters on a Disney cruise. When you check into your cruise, you’ll be able to find out where each character will be located on the ship. However, some characters like Anna and Elsa, will require an advance reservation. If you’re taking a Disney cruise for the first time, you’ll be able to make reservations for character experiences up to 75 days in advance. The best part? Reserving character experiences in advance is free! This means you won’t have to pay extra to enjoy meeting your favorite characters on board. If you are looking for someone to provide more information on a specific Disney Cruise ship, destination, cost or amenities, visit getawaytoday.com or call 877-510-2929 to speak to a cruise expert directly. Get Away Today just received dates for 2019 cruises, and offer some of the best Disney Cruise deals, so you can book in advance and pay as you go. Make sure to mention that Thrifty Northwest Mom sent you!